The house where Restaurant C&C is situated is of distinguished heritage. 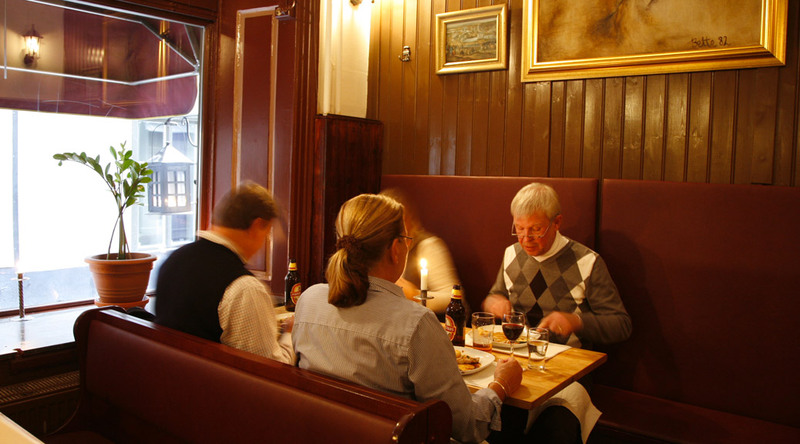 The restaurant was originally called Källaren Dufvan – the Dove – and can be dated as far back as to the king Gustav II Adolfs days, in the early 17th century, when a whine tavern was permitted in the house. The popular name was Skreddarekrogen – the Tailors Tavern. The minstrel C M Bellman`s grandfather`s brother was the first owner of the Dove. The name Skräddargränd – the Tailors Alley – comes from the tailors guild that had its meeting place in number 2 between 1627-1842. The alley has also been named Bredgränd – the Wide Alley – from the late 15th century, because it was slightly wider than the alleys northwards.